The original sketches for this tapestry were made by the artist in Saudi Arabia in 1983. Hicks wove a large version in the Atelier Hecquet of Aubusson, France, in 1984 to 1985, which is now installed in the main auditorium of King Saud University. Another version, in an edition of four, was woven in the Atelier Hecquet and the Atelier Pinton, in Felletin, France. Three of these are in the collections of the Metropolitan Museum of Art in New York, a private company in Rotterdam, and the artist, in Paris. 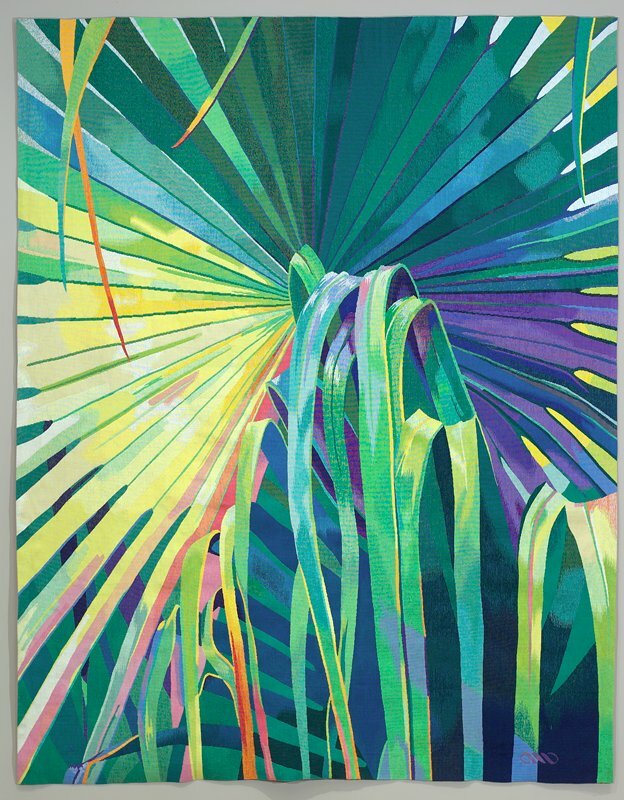 Palm tapestry (no. 4) was given to the Minneapolis Institute of Art in memory of Izzika Gaon (1938-1997), founding curator of the design department of the Israel Museum in Jerusalem, who was widely admired for his international spirit, innovative approach to collecting, and diplomatic skills. Hicks frequently collaborated with him on exhibitions.